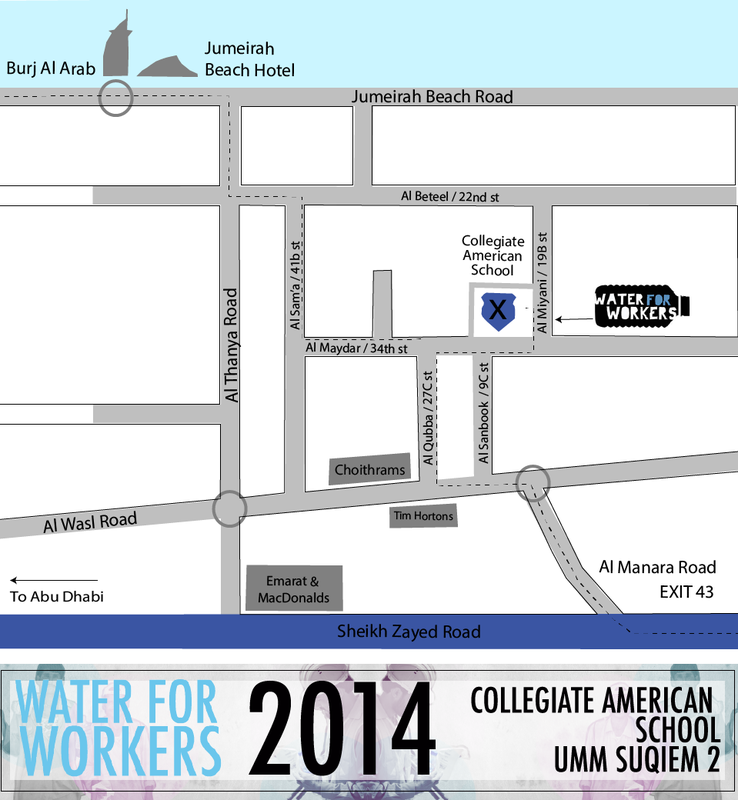 [ water for workers ] Let's Go 2015! Water for Workers is back for 2015 with our first adventure coming up on Saturday May 9th! We ended last year with a huge October round of 10,000 bottles & facecloths and a huge amount of volunteers, and we're picking up where left off with another 10,000 opportunities for goodness this May. - You come in your own transport* to Collegiate American School at 10am. - You choose an area of Dubai you would like to cover from our HUGE list. - You take however many boxes of water & facecloths you need and head on your way to have some HOT.SWEATY.FUN! If you have a group of 5 or more people coming you can register for Water for Workers HERE, to give us some idea of how many people are coming. WHO DO I GIVE THE WATER TO? Anyone working outside in the heat - this project is not limited to labourers and if you see someone who looks like they could use a drink, a smile, and a few words, then go for it.